If you think that you have learned the art of Selfie to the end and the same "self" in the tape - it's boring and monotonous, then we'll find something to please you. 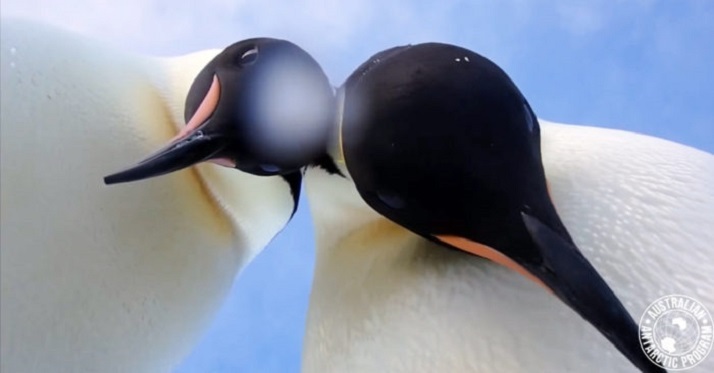 These emperor penguins can surprise you because they know how to make a really cool selfie photo. This Penguins video was filmed in Antarctica. Australian researcher Eddie Gault left on ice a camera near the rookery of penguins Auster, next to which is the Australian station, Mawson. Curious birds soon noticed an unidentified object, but were not scared, but decided to identify. As a result - cool selfie. By the way, they also communicate on video. Now Eddie, apparently, will have to run for them half a day. What for? And to give the photo.